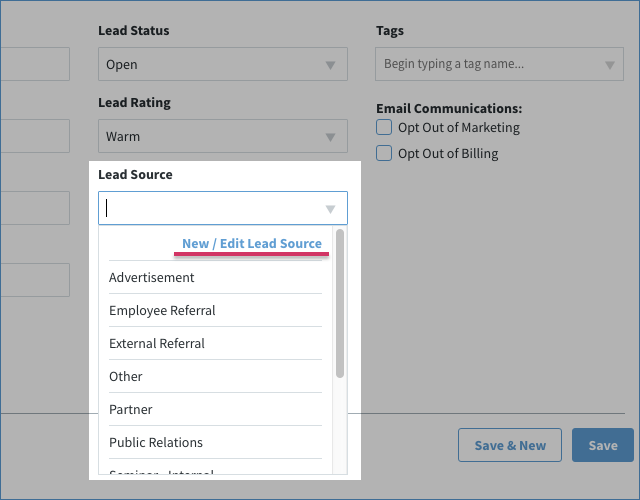 A lead source is, literally, where your lead came from. Keeping track of where your leads originate is a good way to gauge the effectiveness of marketing campaigns, trade shows, and other ways your business reaches out to potential customers. 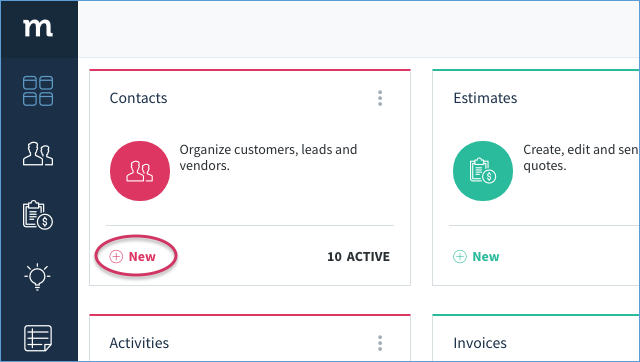 But the whole point of Method is to tailor your CRM experience to your business practices, so we’ve included an option to create a new lead source. The following steps will show you how to create a lead source. You can edit a lead source as well, but since the process is the same we will walk you through creating one only. options, but you can create your own very easily! 2. 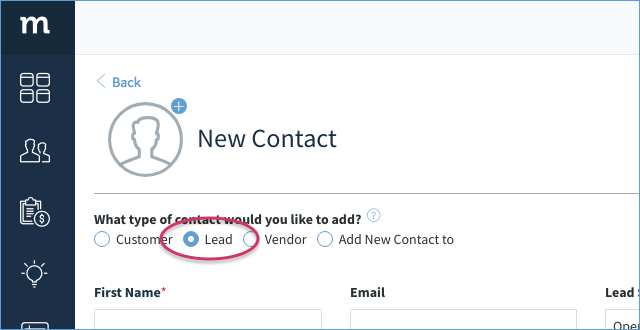 Make sure Lead is selected for type of contact. 3. 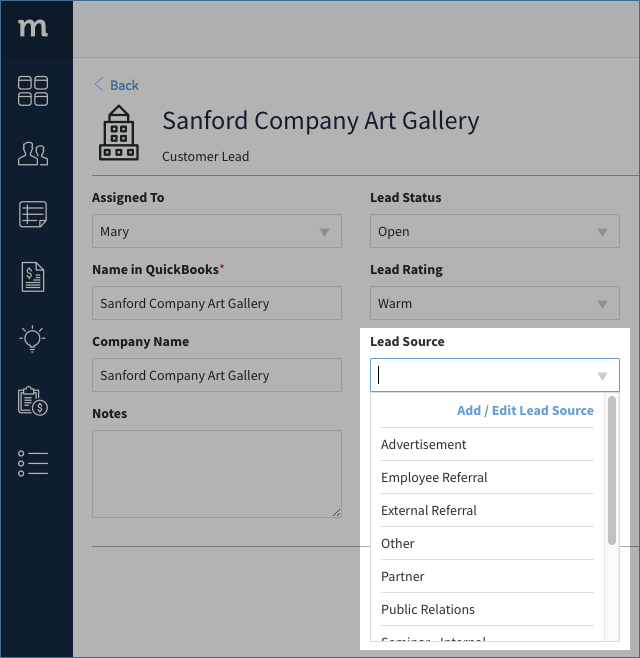 Select the Lead Source dropdown. Within the dropdown, click the New / Edit Lead Source link. 4. This opens your Lead Source List screen. Click ⊕ New Lead Source. 5. This opens your New / Edit Lead Source screen. Choose a descriptive and unique name for your lead source. 6. When you’re all done, click Save. This lead source will now be available throughout Method.